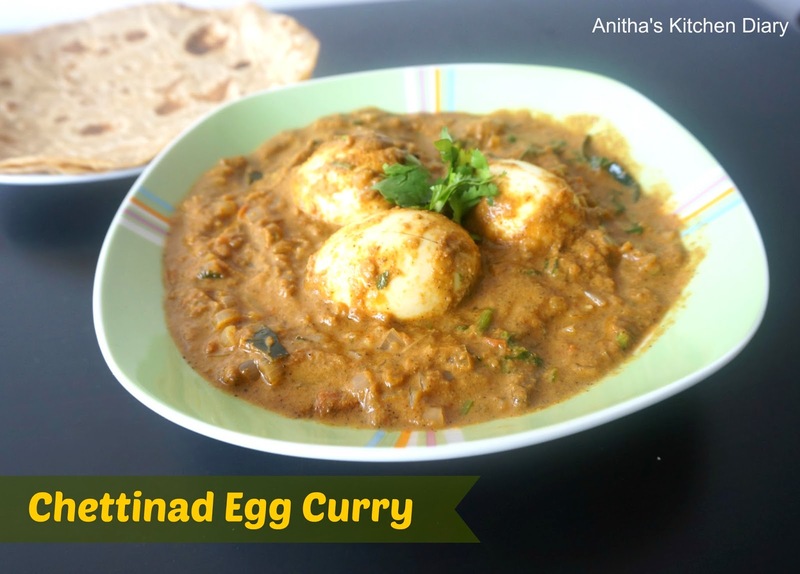 Chettinad Egg curry is a authentic south Indian dish. Chettinad cuisine is famous for using freshly grounded masala. Preparing spices freshly ,will give a rich aroma to the curry. I bored of preparing usual Egg curry which i posted earlier. So i tried this Chettinad style and it come out very well. Heat a pan, dry roast all the ingredients under ''Roast and Grind" .Let it cool down and grind it as a paste. Take care not to burn the spices. Heat oil in a pan, add mustard seeds and curry leaves once splutter add onion and cook till translucent. Add 1 cup of water and allow it boil. make a slit in eggs , add it to the gravy and cook in low flame for 2 minutes. Garnish with coriander leaves and switch off the flame. Serve the curry with Chappathi ,Idiyapam or with rice.